← Spring has sprung – can you name that flower? If you take a walk in Eloise Butler Wildflower garden and climb up the big hill to the prairie land you find a big surprise. The land is darkened and burned. At first it is easy to worry and think oh no there has been a fire and we lost all the prairie plants. But if you stop and look closely you will find that the path ways are not burned. This has been a special fire. A fire that was very controlled. Fire is not always a bad thing. In fact for the prairie land it can be a very good thing. 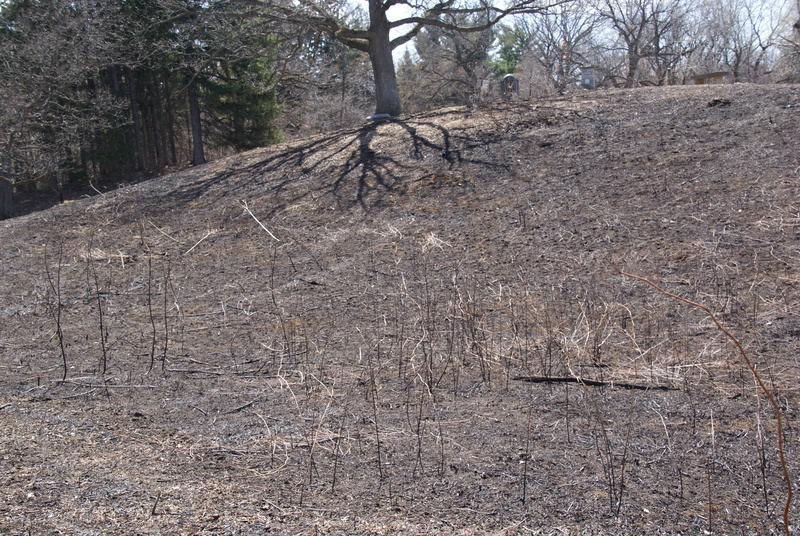 Our wild garden just completed what is called a controlled burn to help the prairie plants. This fire is done in the early spring. A group people who are trained in creating this special type of fire came to the garden and carefully burned the hills leaving an open area for new plants to grow. Prairie fires help rejuvenate plants in many ways. They help by burning away the excess leaf litter and allowing more plants to flower, produce seed, and grow taller. It also increases available nutrients or food through stimulation of microbial activity in the soil and releasing nutrients from the ash. Burning also exposes the darkened soil and allows sunlight to warm the earth quicker and extend the growing season for warm season native plants. In contrast the fire can stop many weeds and non native grasses from growing. 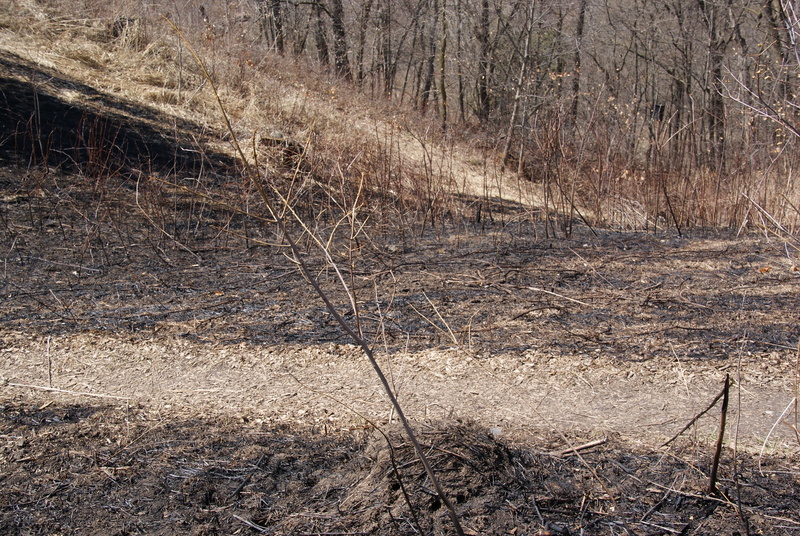 Fire also damages or kills many woody invasive plants, which, if left unchecked can quickly over take a prairie. Controlled burning is one management tools used to preserve the prairie. Mowing, hand cutting, and chemical treatments are some others. However, burning helps large areas to be managed more efficiently and effectively. Our wild garden plans on controlled burns about every 2 to 4 year. If you return to the burn area in just a few short weeks you will see the new plants quickly growing again. You might want to go on line and read more about controlled burns in our countries National Forest, like The Yellow Stone National Forest. 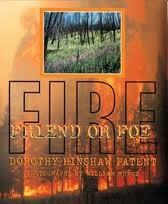 This entry was posted in Garden Learning, observation and tagged prairie fire. Bookmark the permalink.